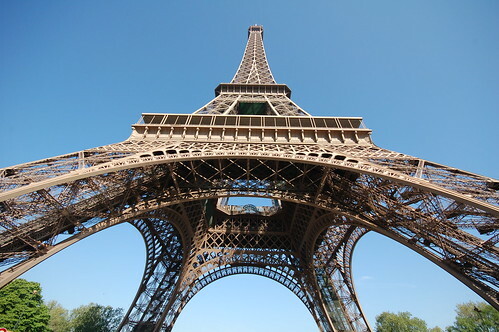 The Eiffel Tower is a recursive solution, a tower on a tower. Morale is key in design. I’m surprised people don’t talk more about it. One of my first drawing teachers told me: if you’re bored when you’re drawing something, the drawing will look boring. For example, suppose you have to draw a building, and you decide to draw each brick individually. You can do this if you want, but if you get bored halfway through and start making the bricks mechanically instead of observing each one, the drawing will look worse than if you had merely suggested the bricks. Building something by gradually refining a prototype is good for morale because it keeps you engaged. In software, my rule is: always have working code. If you’re writing something you’ll be able to test in an hour, you have the prospect of an immediate reward to motivate you. The same is true in the arts, and particularly in oil painting. Most painters start with a blurry sketch and gradually refine it. If you work this way, then in principle you never have to end the day with something that look unfinished. Indeed, there is even a saying among painters: “A painting is never finished. You just stop working on it.” This idea will be familiar to anyone who has worked for software.